Unit 825 on the 8th floor. Yes, there is a washer/dryer in the Unit. Very nice one bedroom w/ bunk beds condo. 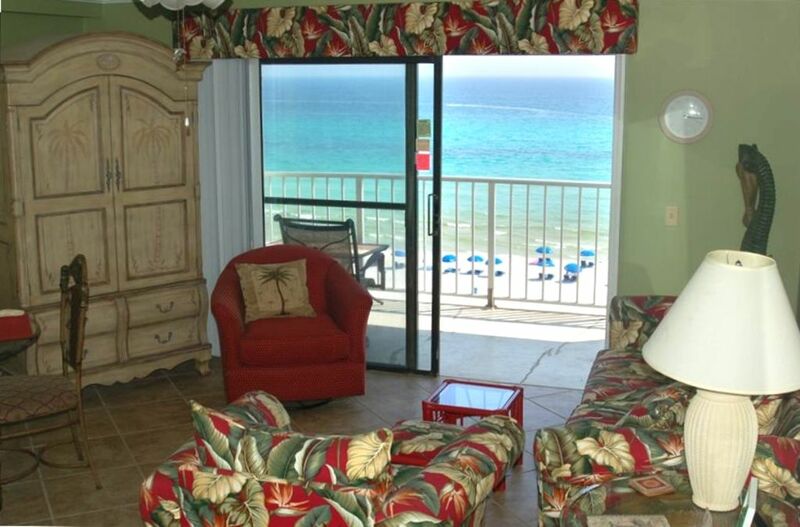 Includes cable TV/DVD/VCR, microwave, phone, & a beautiful panoramic view of the Gulf of Mexico! Very close to fabulous dining, terrific shopping & great restaurants in the area. Within walking distance to Signal Hill Golf Club. Summit features 2-swimming pools (1 heated), 2 kiddie pools, poolside tiki bar, On-site beach service, hot tubs, beauty shop, game room, sauna, exercise room, tennis courts, jet skis & waverunners... all right on site.